The Henriot family came to the Champagne region in 1640. She devoted herself to the textile and wine trade and, by the way, acquired vineyards in her possession. 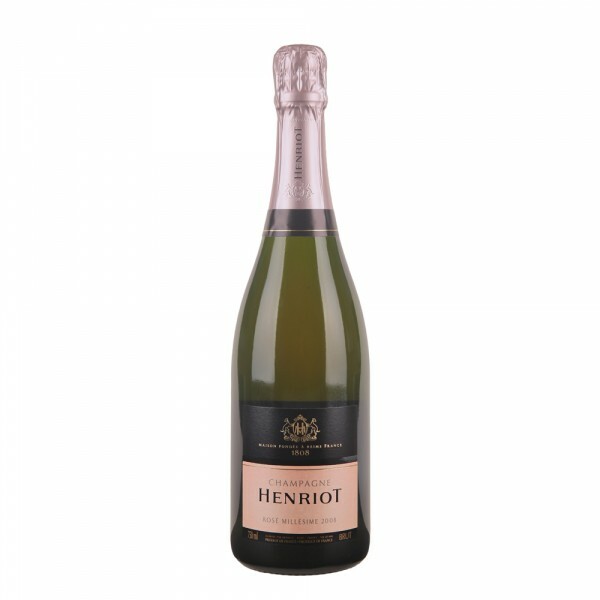 In 1808, the brand Champagne Henriot, which is still owned by the family, was established. Champagne Henriot has even become the wine of the Habsburg court and not only has it ranked among the most demanding homes in Champagne. The Cuvée Rosé is a classic pink champagne produced by blending white and red wines (assemblage) made in the finest vintage. The aroma and taste are the distinctive tones of dried red fruit and cherries. Try foods such as salmon caviar, lobster, or just that. Elegant champagne, great for aperitif. An example of precision, elegance and subtlety. The aroma and taste is mineral with a noble pearl and distinctive elements of citrus fruit and beeswax. A perfect aperitif. A high proportion of Chardonnay gives this wine its elegance, softness and long-aging ability.